Roofing Slope – The roofing slope is your roof’s angle, a crucial factor when you’re keeping the original roofing structure. Most residential structures feature steep-sloped roofs because they shed rainwater effectively and highlight the beauty of the roof itself. Asphalt shingles, slate and metal are ideal materials for steep roof slopes, as the layered installation works with gravity in shedding rainwater and preventing intrusion. Gently-sloping or flat roofs, as typically seen on modern architecture homes and commercial properties, on the other hand, require membrane roofing for water and wind resistance. Weight of Materials – Roofing materials vary in terms of weight, which makes it another factor that can affect your roofing choice. This is because the roofing structure should be able to support the material’s weight. Relatively light roofing materials like asphalt shingles and metal are virtually interchangeable, but switching to heavier materials like slate or tile may require modifications and a thorough roof damage inspection so it can support the increased weight. Architectural Style – Mixing and matching architectural elements are a great way to come up with a fresh design. However, certain styles simply look better and more authentic when you adhere to traditional design elements, such as the choice of roofing materials. The wrong material can be glaringly obvious in certain styles like Mediterranean architecture, which should have clay tiles, or Queen Anne architecture, which looks wrong without wood shakes. Roof Life Span – Roofing life spans differ depending on the material, and if you’re planning on staying in the same home, or perhaps even age in a place, this is an important consideration. A typical asphalt shingle roof lasts about 20 to 30 years with proper care and maintenance, metal lasts about 50, while tile and slate have been known to last for over 100 years. 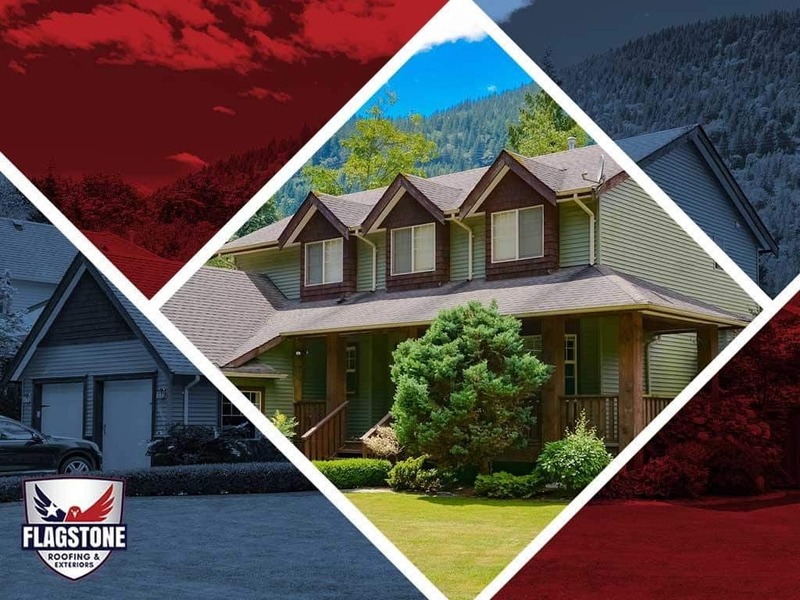 To learn more about our roofing and other exterior home services, call Flagstone Roofing and Exteriors today at (855) 232-6386. We serve many areas in and around Pearland, TX.